Opens this Wiki in the default browser. Opens the Cafu Website in the default browser. Opens the Cafu Forum in the default browser. 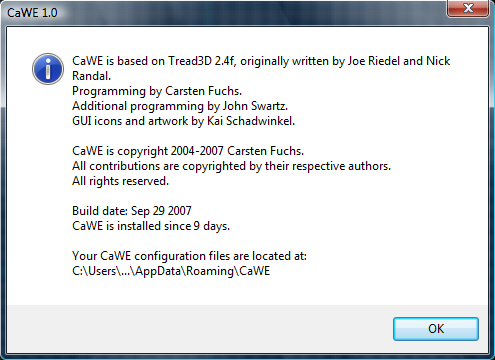 Shows informations about CaWE in a popup window.